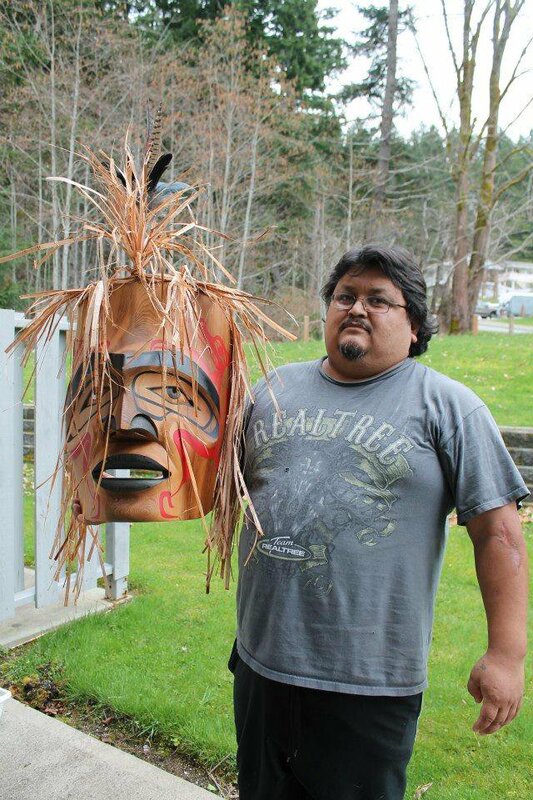 Russell Tait is from the Ditidaht First Nation on the southwest coast of a Vancouver Island. He stated carving in 2004, inspired by artists such as Art Thompson and the artists on the show, Ravens and Eagles. Mostly working on his own and learning the skills to be an artist in the medium of wood, specializing in masks and paddles. Now including small poles and miniatures or regalia. Some artists he has worked with include Ben David and Cecil Dawson. Click to view Russel's masks.